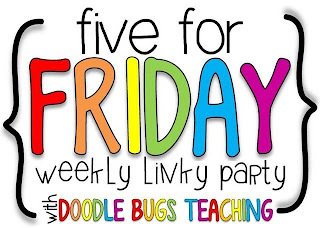 I am linking up with Doodle Bugs Teaching for another 5 for Friday. 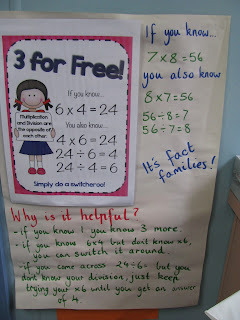 It's been a huge week at school - Book Week has been so much fun - here is a small glimpse into what we did! We have been having weekly excursions to learn more about our local history. 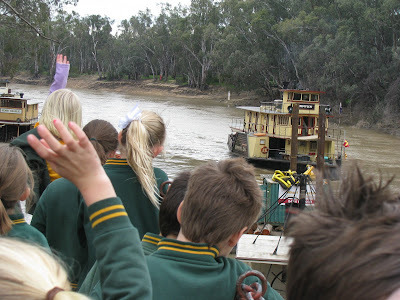 I loved this picture I took of all the kids (hands up with questions) and a paddlesteamer going past. 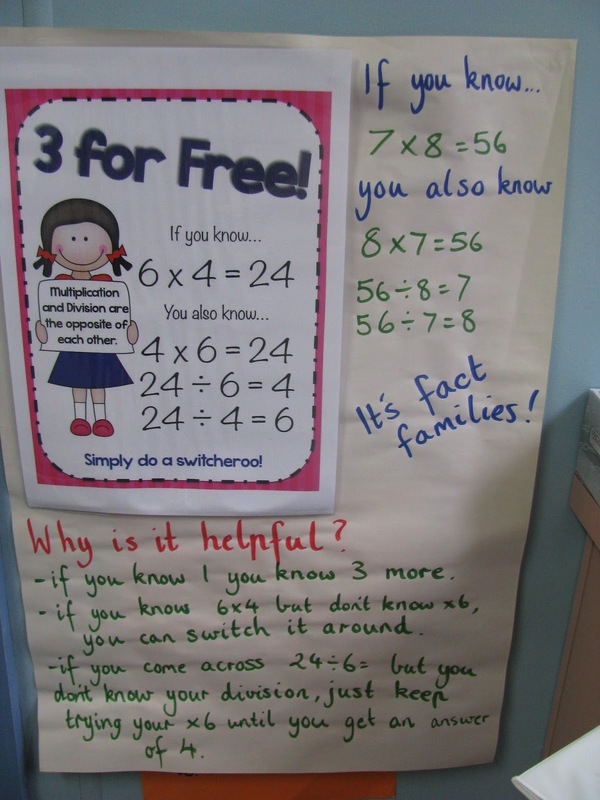 In division, we have been trying to make the link between multiplication so we looked at 3 for Free. 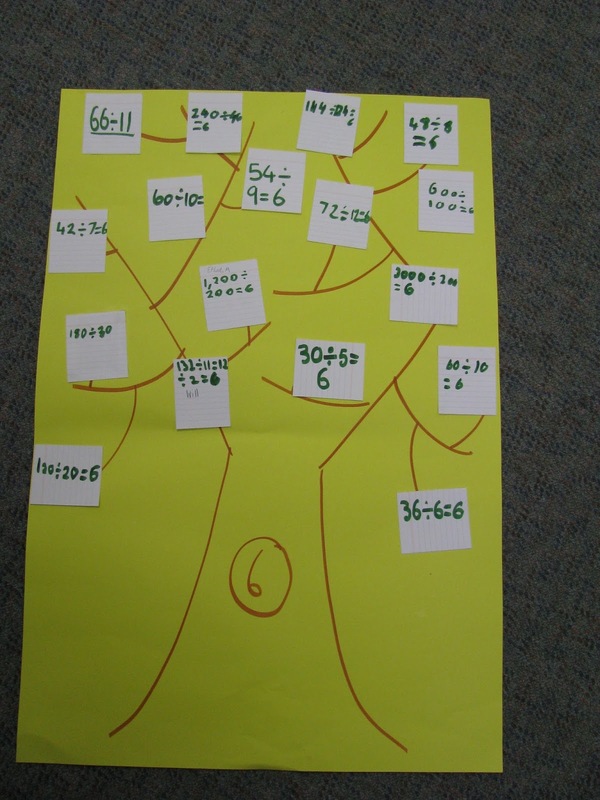 Then we did a division tree, coming up with as many sums as we could that equaled 20. We also did a problem solving search around the classroom - answering 16 different questions as we moved around the classroom. Lightning Jack was a book nominated by the Australian Book Council for book of the year - it didn't win, but we loved it anyway. 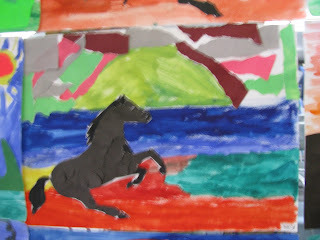 We made these great painting using Lightening Jack as the feature. 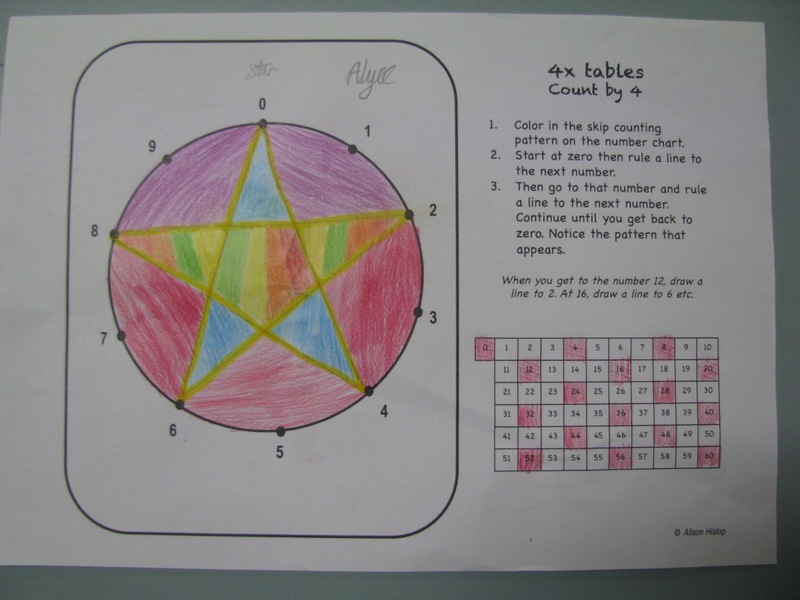 For a Fun Friday activity, we made my Geometric Multiplication Circles - the kids loved them! And I will leave you with my Book Week dress up as Mrs Frizzle! Such an adorable Miss Frizzle! We love the Magic School Bus in my 4th grade class. The books offer so much good information in addition to the story. Whoops left a comment but put the wrong link at the end, so try again! 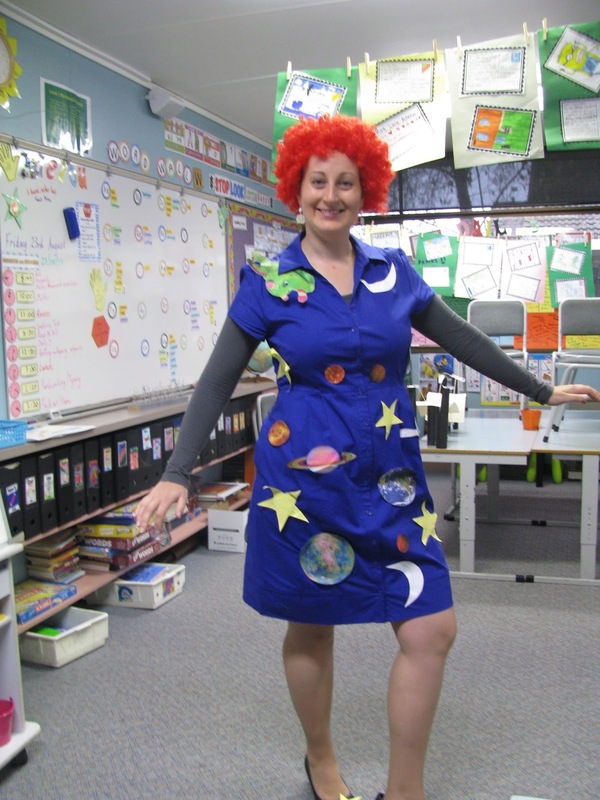 You look fabulous as Miss Frizzle, so cool. 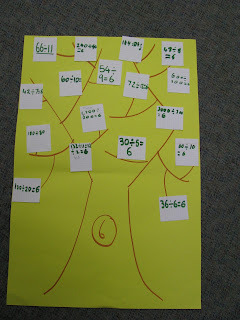 My class loved Lightning Jack as well (so did I!) 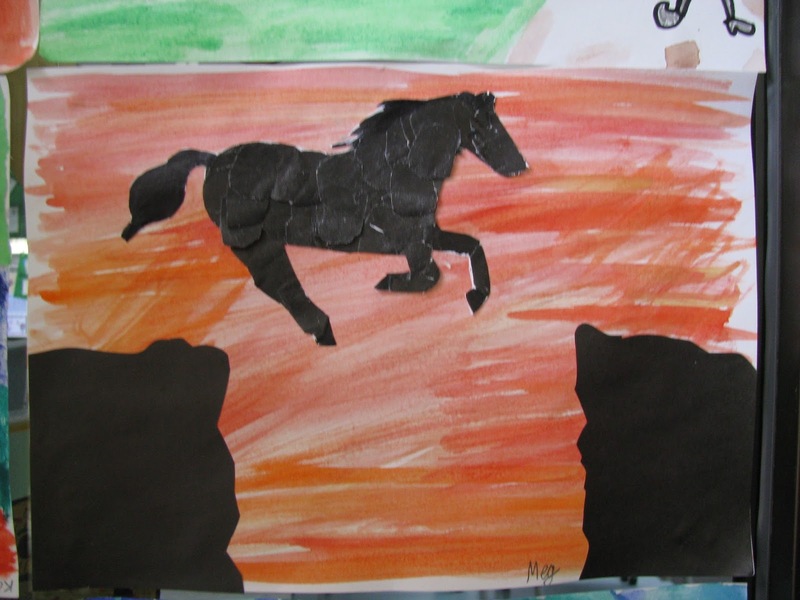 love the idea of using a character as the central theme of a painting (weren't the illustrations in that book great!) I bet you had lots of discussions about the Ned Kelly in that book as well! Thanks for sharing your week Alison, looks busy and fun! I love the Ms. Friz look! 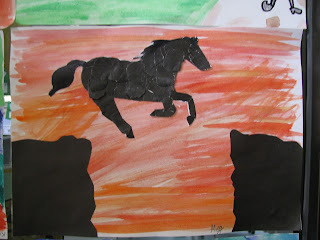 The Lightening Jack paintings are amazing! What talented kids you have. It's awesome you got to take a field trip too! Looks interesting! 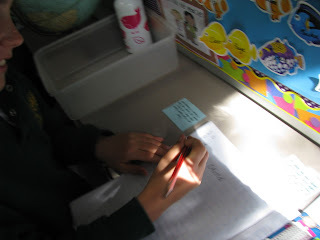 Thanks for sharing about your week! I am so diggin' this Ms. Frizzle look. That brought a smile to my face! I LOVE your costume! Very cool! Awww thanks ladies! It was a fun day! Now getting ready for another week! Lightning Jack is one of my favourite books and no matter which grade I read it to, they all love it! Great costume!